We were scared of her as children. Though she was our aunt, she was a strict teacher. Mistakes were not spared. The discipline helped, though it wasn?t something we had appreciated then. 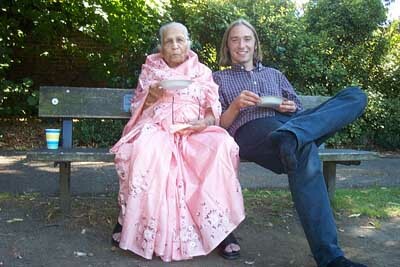 By the time we had worked it out, Khalamma (aunt) had changed, as had my relationship with her. The strict teacher had become a much loved aunt. A friend. It was no longer a relationship involving censure and discipline. It was loving, warm, tender. In our old family albums there are photos of Chotokhalamma on a bicycle. She wore modern clothes. In stories that mum and dad would tell me of their growing up, we heard of a woman?s struggle to be educated. She herself would tell me about the realities of tempering her aspirations with the practicalities of being a wife. Of what was expected of her by her in-laws. Of the pain of accepting that higher education abroad was something she could never get. She did get recognition in the end. 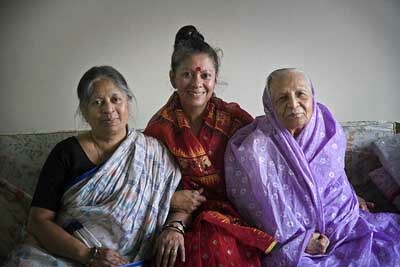 The Begum Rokeya award in 2006 being significant amongst them. 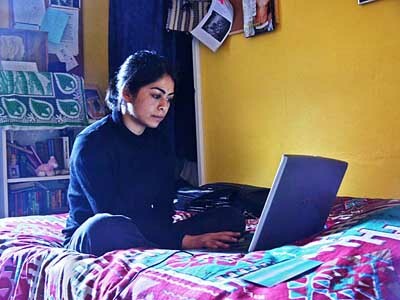 But hidden amongst the accolades are the harsh realities of growing up as a woman in a patriarchal society. Of the oppressive walls around her, of dreams suppressed. She was exceptional in many ways. 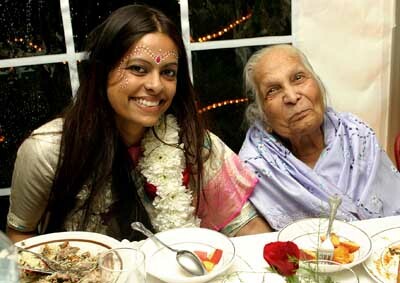 Her autobiography was that of the Bangali Muslim woman. The story of this fighter is one that will touch many a soul. The book was meant to have been published quite some time ago. The time it takes to bring out a book. The many hurdles one has to cross, were things I?d forgotten about. She was not always well. My uncle Chotokhalu left us. The section on him had to be changed. But she stayed patient. Comforting me when I got frustrated. Hiding her sorrow to comfort me in mine. On the last day I met her, when we all knew it was towards the end, we had all gathered. She winked at me and smiled ?Well we needed a get together?. As she held me tight with her feeble fingers, I stole one last kiss and left. Not strong enough to watch her following me with her eyes as I walked away. 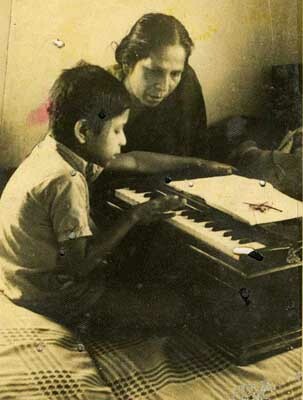 Rokeya Mannan (commonly known as Tulu Apa) was born on the 6th January 1925. 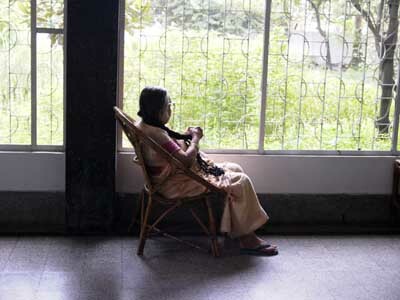 A leading educationist and social worker in Bangladesh, she was educated in Lady Brabourne College in Kolkata in the late thirties and a witness to the social and political movements of Bengal. 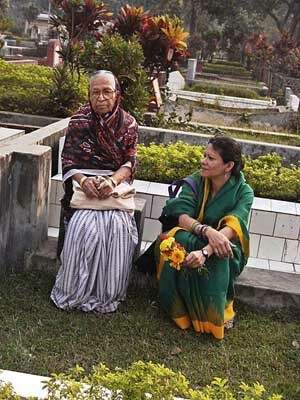 After partition she moved to Mymensingh. 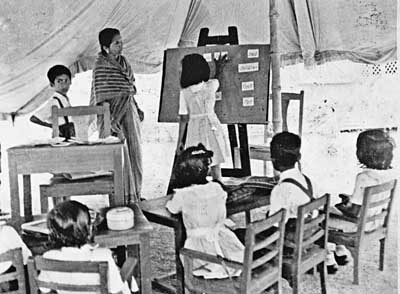 Throughout her active career, she played a leading role in women?s education and was a key player in the women?s movement in East Pakistan and later Bangladesh and was awarded the Begum Rokeya Padak for her contribution in these fields. 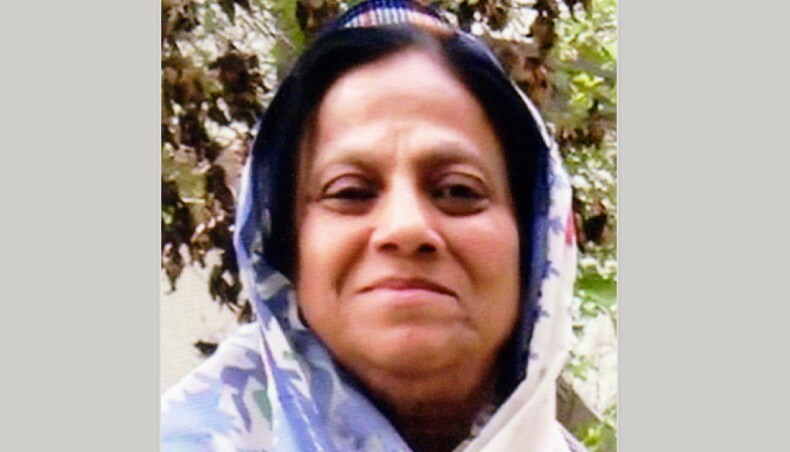 She had been married to the well known anatomist, Professor S I G Mannan and had for many years been the Headmistress of Agrani School and College, the reputed school and college for girls set up by her sister, Dr. Quazi Anwara Monsur. 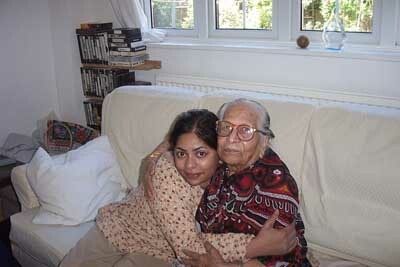 Rokeya Mannan passed away at her residence in Banani at around 5:30 am on the 29th March 2012. We invite you to the official UK book launch of ‘My Journey as a Witness’,?a book of images by celebrated photographer?Shahidul Alam. 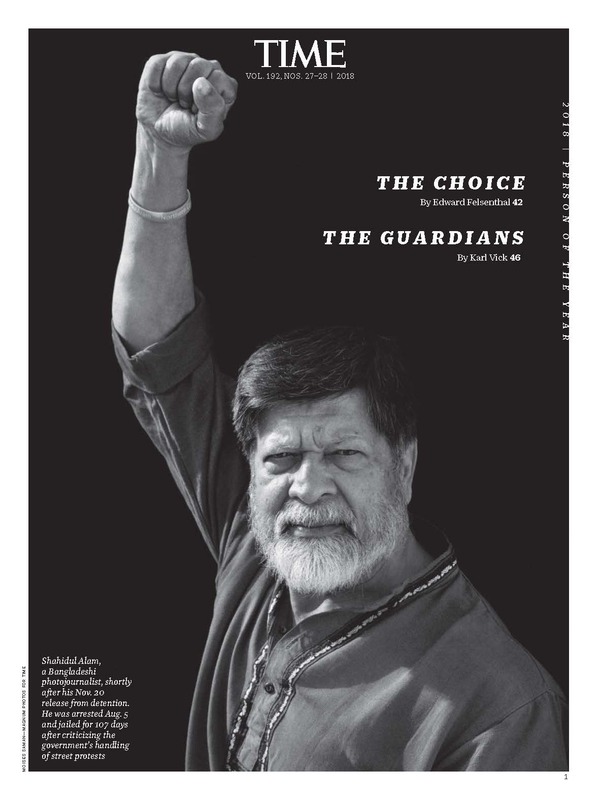 An extraordinary artist, Shahidul Alam is a photographer, writer, activist, and social entrepreneur who uses his art to chronicle the social and artistic struggles. Lucid and personal, this much-awaited book includes over 100 photographs tracing Alam?s artistic career, activism, and the founding of photography organisations. From early images shot in England to photographs of the last two decades in his native Bangladesh, this is a journey from photojournalism into social justice. 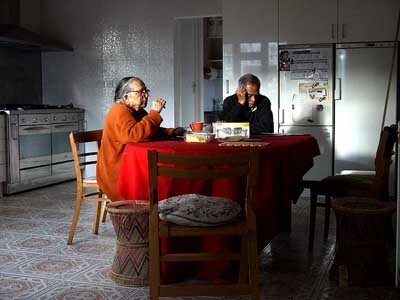 Alam?s superb imagery is matched by his perceptive accounts that are at once deeply intimate and bitingly satirical. Supported by the Bengal Foundation and published by Skira Editore there will be a short film and brief talks by the author, editor and sponsor accompanied by a book signing. There were serious gaps in dispatch I which need to be filled in. Such as Sabeen, like an apple savvy Ma Kali hovering over me to make sure that I called Evelien immediately to call off Dar Es Salaam. Skype on the hotel wifi was a bit of a joke, but Evelien?s voice did echo through the ether. Tongue out, sabre ready, Sabeen was poised to strike and I wasted no time in sending of a plaintive plea to Evelien to forgive me my sins. Her response was immediate. ?We would rather you live?. The death tolls were knolling! Any attempt by Nalaka and I to move towards the issues we had sneaked out of the meeting room to discuss were totally swept aside by the hordes of people gathering round. ?The hotel lobby had become a control centre. Doctors, travel agents, airline desks, World Press were all being hotwired. Transatlantic messages flowed in interspersed with local flavour. Manori came over with her own private collection of angiogram videos. Suvendu wanted scans of my report for his dad in the US. Mowli, my niece called from London, Rahnuma was on chat. Chulie came in with a long face and a detailed survey of cardiologists in Colombo. 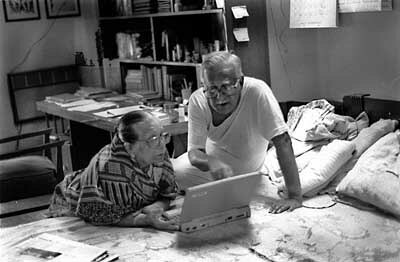 Nalaka and I did manage to get a few words across, but Manju was there with her FK problems. While budget lines were being fixed and participants finalized for 2007, I signed the FK papers. It felt more like signing a last will. The Palm Strip lounge in Colombo had little to do with palms. Stuck in a corner next to the self service canteen, it was an easy lounge to miss. Having made my way back all the way from the gate, past all the other lounges, I settled into Palm Strip hoping against hope for a wifi connection. I was lucky to find a power outlet. There was one terminal with Internet but a six year old girl and her mum had set up residence around it, and it was only my ?gate is closing? timing that allowed me contact with the keyboard. I sent off my fond farewells in time to rush back to the gate. The woman in the Dubai counter stopped to take stock of my passport. She was slow anyway, but a six layer passport with no empty pages was not something she dealt with everyday and time seemed to stand still in the Dubai Emirates counter. My Dhaka-Dubai-London-Biarritz-London-Dubai-Colombo-Dubai route was perhaps not the most straightforward one, but all I wanted was to change the remaining Dubai-Dar Es Salaam-Dubai-Colombo-Dubai-Dhaka segment to Dubai-Dhaka. That seemed simple enough. A small conference gathered around my ticket and my passport. A break of sequence was apparently mortal sin in the airline industry, but there was a way, apparently. If I were to buy a new Dubai-Dhaka ticket, retaining the existing ones and use them later, exactly in their original sequence, then apparently I could avoid losing money on them altogether. Reorganising meetings around that altered schedule to utilize such air travel calisthenics might have proved difficult, but they were only trying to help. Through security, past the Ferraris on sale to counter twenty I went, only to be told that I was totally in the wrong place. It was Skywards at gate 8 that I wanted. The attendants at the lucky Chinese numbered gate were helpful too. All I had to do was to go back to where I came from where the commercial desk would issue me a new ticket. By now the security people were getting suspicious of this bearded guy who had gone backwards and forwards through their gate four times in one hour. They didn?t realize our future destiny was also entwined. The commercial desk rebooked the flight, but surprise surprise, I had to go back to the original counter to get the ticket issued! The woman with time on her hands was dealing with passengers at her own pace, and spotting the first class counter empty, I chass?d across to the woman there. She smiled and with a sidelong glance at my wad of passports, quietly went through the pile of stapled tickets. ?Why have you done all this?? she asked. As I went through the entire history, she sighed and took me back to the commercial counter. But this encounter was different. She managed to cancel the Dubai-Dar Es Salaam flight, and issued me a Dubai-Dhaka ticket, without revoking the sectors in between. While the new tickets were being issued, she asked me where I was from. 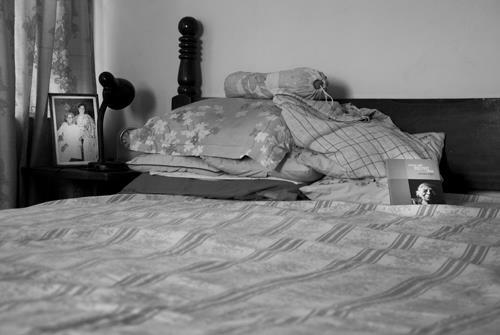 Zareen Ahmed had two kids and lived with her family in Sharjah. 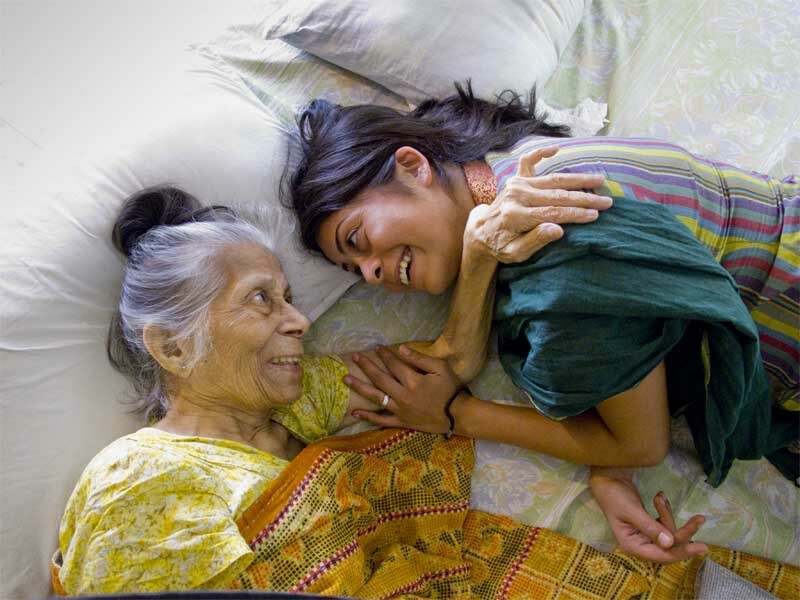 Her parents lived in Gulshan in Dhaka. I now had a friend in Dubai airport. I did have to go back to her counter, but in the end, armed with my new ticket, I was ready to face my security friends for yet another trip past the metal detector. Secretary of State Dr. Condoleezza Rice cooed over the new appointment. currently face is to resist the excellent profiteroles in Dubai Lounge. Dhaka punctuated our attempts at international aerial understanding. not have been worth living. and the ‘final call’ at the gate approached ever more rapidly. explicit instructions that I sort things out in Dubai. I have not written to you for a long time now. Things have been difficult here, and now with the elections only three days away, it is difficult to know what the next few days will bring. It is fairly certain there will be violence, but to what extent and with how many casualties, one can only guess. I have been remembering you for very different reasons. For three days now my father has been ill. He has always been poorly, and with diabetes, gout, arthritis, and a failing heart, adding to his childhood bone marrow defects, he feels he has done well to keep going without any major mishaps. Yesterday, he had a blackout and slipped in the bathroom and fell, cutting himself on the head in the process. He was sweating when I found him, and as I changed his clothes and mopped his body with a towel, I found a new relationship developing between myself and this man who had fathered me. He was frail, and his skin hung loose, and he was slightly uneasy with this new role that we found each other in, but he did not resist, not because he was as weak as he was, but because he was brave enough to venture into this unknown territory at this late an age. A territory, I had never braved. I tried to gently mop the sweat from his body, feeling him lean on me, letting me feel his weight. I had played with him as a child, but since then, we had had little scope for physical contact. I remember once, when I was twenty one, and about to leave for several years, that he stiffly held out his hand to shake mine. I went up to him, and his hug was so warm. Later, from a thousand miles away, I wrote to him to say that I loved him. It was the first time I had done so, but we had broken the ice. We wrote often since then, each time renewing and expressing our knowledge that we loved each other, but there had still been little to follow up on that hug. When I left for a visit, or returned, we would hug, a soft gentle hug, knowing, trusting, but still holding back ever so slightly. He is sleeping now, in the hospital bed, and in the strange environment of the ward with the sound of sick and dying men all around me, I can hear him breathe. Even in his sleep, he knows I am here, and that is reassuring for both of us. I can feel his soft wet skin, the weight of is limp body. The almost imperceptible way in which he leaned against me as I held him. We have spoken very little in the hours when he has been awake, and much of what we’ve said has been functional, spoken while I have been feeding him, making sure the mosquitoes don’t bite. Tomorrow I will be back in the streets, facing the inevitable police bullets and the teargas, in the heat of the battle perhaps I will forget this hospital bed, the squiggly lines on the oscilloscope, the gentle breathing, but I know he will await me. And tomorrow night, like tonight, I will sit by his bed, half awake, while he sleeps, happy in the knowledge that I have touched more than a bare patch of skin. I remember you now, for the thoughts that ran confused in my mind as I watched “I photograph to remember” in a quiet corner of the gallery in Arles. 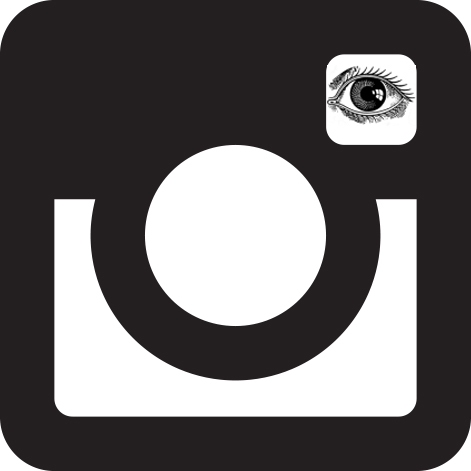 I have my camera with me, but have taken no pictures, not yet. Perhaps I’ll wait for the skin to dry. The text is a bit formal. It will take me a while to write to people individually. I hope you will understand. 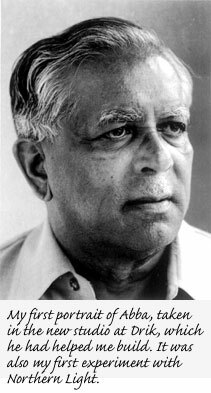 Professor Kazi Abul Monsur, a microbiologist of international repute, passed away on the 20th February 1996 at Suhrawardy Hospital of a heart attack. 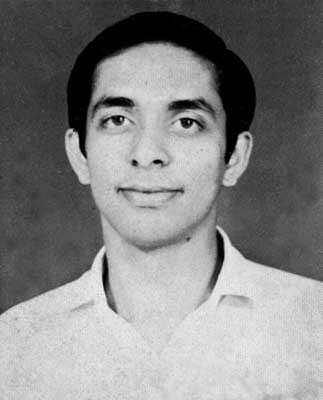 A brilliant scientist, Professor Monsur was a gold medallist from Calcutta Medical College, and was later awarded the “Pride of Performance” by the President of Pakistan. He developed the world’s best known culture media for cholera, known as “Monsur’s Media”. He was the founder of the School of Tropical Medicine, and also the initiator of the first IV fluid plant in Bangladesh. His work brought international recognition and he served as the director of the Public Health Institute. Professor Monsur started his teaching career in Dhaka Medical College where he was professor of Bacteriology and Pathology, which was followed by many years of international work. He retired from Government service as Director of Health Services. 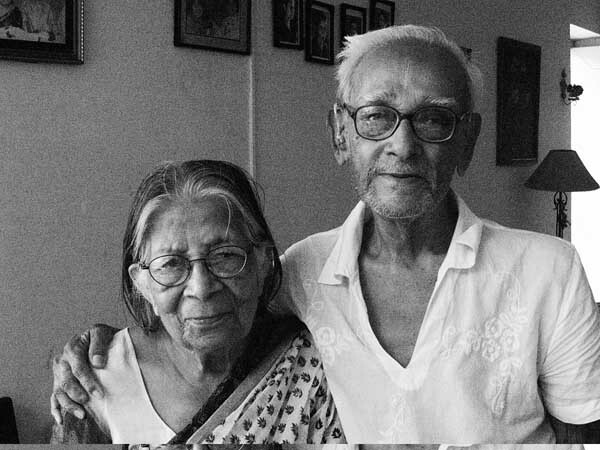 Dr Monsur has left behind his wife, Dr Anwara Monsur, founder and principal of Agrani Balika Bidyalaya, daughter Dr Najma Karim, son Dr Shahidul Alam, grandchildren, and many well wishers. Dr Monsur was a director of Drik Picture Library Ltd. It was the first rain of the year, the end of winter. I hadn’t noticed the weather till then. The previous week had been one of turmoil and discovery. I had spent hours watching my father’s face, looking at the lines in his hands, the fingernails. The shape of his toes. Never before had I noticed the little cleft at the tip of his nose, which I too had. His eyebrows were thick, bush and soft. The doctors had told us it would need a miracle but we clung on. 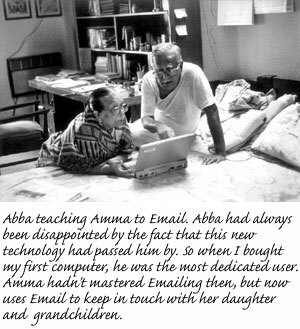 Abba had been very clear about how he wanted to leave. There were to be no heroics. No expensive treatments, no trips abroad, above all, he had not wanted to live a life where he could not be fully active. On the second day in the hospital, the doctor suggested that I ask my sister who was a doctor in the UK, to come over. The implications were obvious. She might never see him again. There was a national strike in the country, in protest against a one-sided election. Rahnuma’s brother Saif, arranged for an ambulance to get my sister from the airport to the hospital. She wept and he smiled as they met. Those few hours were lovely, despite his condition. We talked of politics, his flowers, of his grandkids. He was furious with the government for staging a mock election and wanted to know what was going on in the streets. Then the breathing got heavy and they put on the oxygen mask. Late at night, the doctor asked if we agreed with putting him on the ventilator machine. There was a risk attached, but she felt it was our only realistic chance. It needed a move to another building. He was for the first time unsure of what was going to happen. I held him tight in the ambulance. Making sure he knew I was constantly there. In the surgical ward, they were going to pump him with morphine so he wouldn’t resist as they pushed the tubes down his throat. Between gasps I saw his eyes scanning the room, looking for a familiar face. I called out gently, and the eyes rested as they met mine. 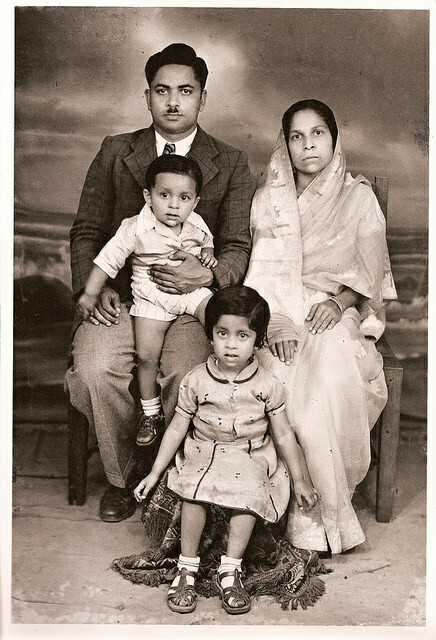 Abba and Amma before they left for London, leaving my sister Najma and my brother Khaled with my grandparents. Abba was 33, Amma was 28. I was a ‘mistake’ and came later.